In nowadays world, with our work routines and all the tensions, we are barely able to spare time for ourselves. While excelling in our work, it is equally necessary to carve out our body muscles into perfect shape, so that we have a sound mind with a sound body. There are various easy exercises which are meant to provide strength to our muscles. Especially those individuals who want to develop their abs, it becomes necessary for them to take a particular diet and do various workouts everyday. Lower ab is that area of your body which is most difficult to work with. This is because of its sensitive location. 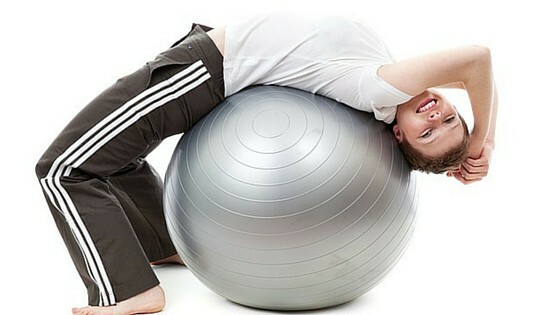 Exercises balls for instance, Swiss balls are very popular among men and women for speedy shaping of lower abs. These balls are meant to provide support to your bodies to bend to a particular angle which cannot be achieve without any outside support. Thus this support is provided by exercise balls. One of the many advantages is that these balls help you to make your muscles stretch beyond 180 degrees, which in various positions help to speedy contract your abdominal rectus muscles. It provides pressure on the growth capacity in this area, restrains your muscles to form belly pouch. Instead, it makes your skin tight. Place the middle of your back on exercise ball. Put your hands behind your head ( they should not touch or provide support to your head, they should be in the air). Now, crunch upwards by applying pressure, after backward extend up to 180 degrees. Keep your movement backwards and forwards slow, with your back stick to the exercise ball. This exercise is very effective for shaping your lower ab area in a considerably lesser period of time. Start this exercise by being in the position where the upper part of your body is stretched into push-up position. In this position, your legs are on the exercise ball, while your palms are down on the ground, providing support to your upper body. Now, keeping your body in a single line, start pulling the ball towards your chest area with the help of your lower abs. While in the contracted position, try to hold for at least 2 seconds before resuming to your initial position. in the initial position, your elbows are against the ground and are supporting your upper body, while your legs are on the top of exercise ball. Try to stay in this position for at least one minute. Keep your body stretched and in a single line throughout. Resist the urge to bend or form an arch. This position applies direct pressure on lower ab area to make it go inwards. This is one of the easiest and quickest lower body workouts with exercise ball. Next post: How to Use Coconut Water for Weight Loss!